She’s so beautiful, sweet, doubtless and happy,. I guess she was happy to meet you. She seems to say something like I am what Iam and I’m not afraid. Thank you! Yes, most definitely inspiring it was to meet her. As always, beautiful picture! 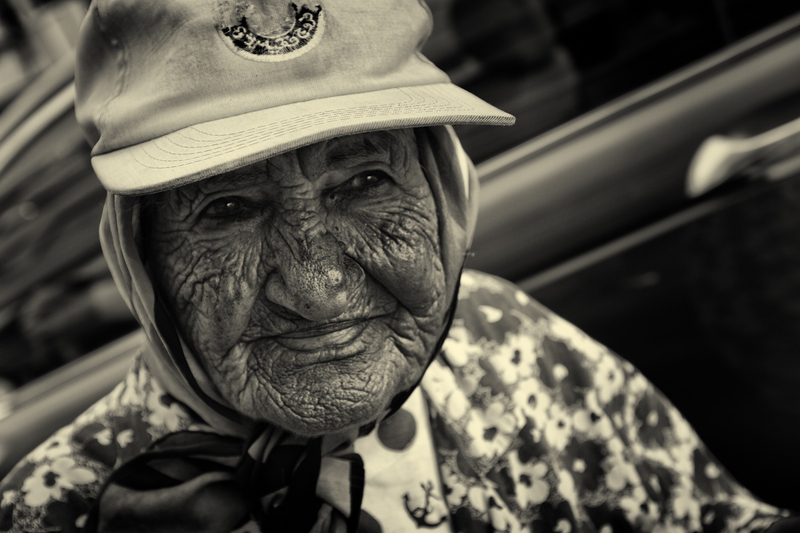 And a positive take on wrinkles…the dreaded word of the majority of women today. Another amazing photo. So many stories told on her face. A magnificent photo and I totally agree, there would certainly be a wonderful story to tell about her life I am sure. Thank you so much for clicking over and for your comment! Frank sent me! Great photo. Gives a whole new meaning to “lines on my face”. Wow. Yes, I hope it is over soon 🙂 Thanks Adrian! Incredible picture, and I can’t agree more with your sentiments. What a beautifully etched face! Great capture! Mimo is something that I am not, a skilled photographer. She lives in New York, was born in Lebanon, and loves to travel. In this blog she ties together the people and life in a way that allows the reader to reflect on their own life while learning about the life of others. Here’s a sample involving her beloved Lebanon. Meanwhile, you should know that she just started Egypt. I encourage you to visit and if you comment, please tell her Frank set you. And yes, maybe I will see you in her trip to Egypt. true but as nothing can be done about it, we might as well celebrate it 🙂 Thank you for your comment! Very powerful and beautiful picture. I think the quote “A picture is worth a thousand words” fits perfectly right here. many thanks, that is a huge compliment to Aida and to the photograph! hope that all of your stories come up to meet you, even when you think you already have the story done in your head before you go shooting. because the result is amazing! lovely this old woman. I like the lines on her face. They tell everything. Reminds me of my grandmother. grandmothers are the best! Thank you for your comment! …and such sweet, kind eyes. I am such a huge fan of your portraiture. Thank you , very kind of you! That face tells a story itself! beautiful photo from beautiful Aida. Most people realize the stories that the elderly can tell and life experiences they can show. But your linking of one’s unique lines on a face to their unique experiences is very powerful.